We have had conflicting information as to why and what is going to happen with the KAZA UniVisa, but the bottom line is that tourists will not be able to get a Univisa in Zambia at this time. It is still available in Zimbabwe, but seeing as how there is a limited supply, these will most likely run out in the near future. An official at the Victoria Falls Border Post said that the four ports of entry in Zambia (Lusaka and Livingstone Airports, and the Livingstone and Kazungula Border posts) that were issuing the UniVisa, have stopped while the project goes under review. However, Zimbabwe is still issuing and using them at Victoria Falls Airport, Kazungula Border (with Botswana), Harare International Airport, and the Victoria Falls Bridge (Zimbabwe side). Although the UniVisa will not be available in Zambia, travellers can still use it for entry and overnighting in Zambia. In Botswana, it is still only be used for day trips. The KazaVisa is a tourist visa which allowed visitors from 40 countries to Zimbabwe to travel between Zimbabwe and Zambia using the same document. It was launched in November 2014 on the Victoria Falls Bridge, and was received with much enthusiasm. It was launched as a 6 month pilot program, with the goal of extending its use into Namibia, Botswana and Angola. The visa was issued at eight ports of entry in both Zimbabwe and Zambia. 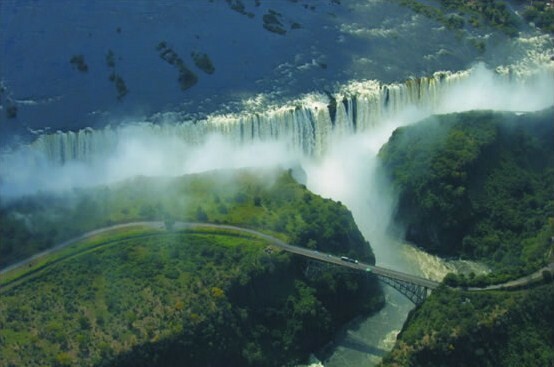 Since the launch of the pilot program, travel agents and operators have recommended the UniVisa to clients particularly when in instances where they wanted to enjoy activities in both Zambia and Zimbabwe. The common visa has eased tourist travel between the two countries in the last 12 months. 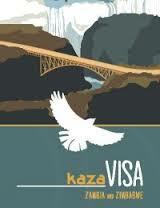 For example, a client could get a Kaza-Visa upon entry at Harare International Airport (Zimbabwe), and then travel to Victoria Falls, where they could spent a few nights while enjoying numerous activities on both sides of the Zambia-Zimbabwe border, as well as a day trip to Botswana’s Chobe National Park, all while using the one visa. Not only has it been helpful in reducing the processes of getting a normal visa in two countries, but the UniVisa made visa costs more bearable. The UniVisa is US$50 and valid for 30 days, while the double entry visa in Zimbabwe can be up to US$70 and one in Zambia is up to US$80.